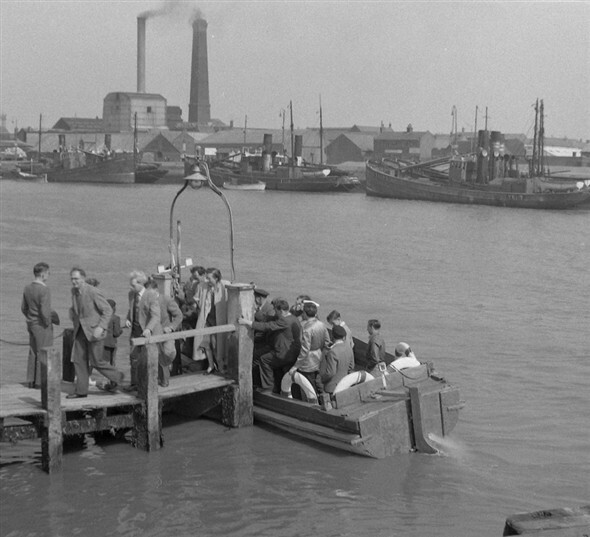 It was quite a long trip for workers in Gorleston to cross the river on one of the bridges to get to work in Great Yarmouth. 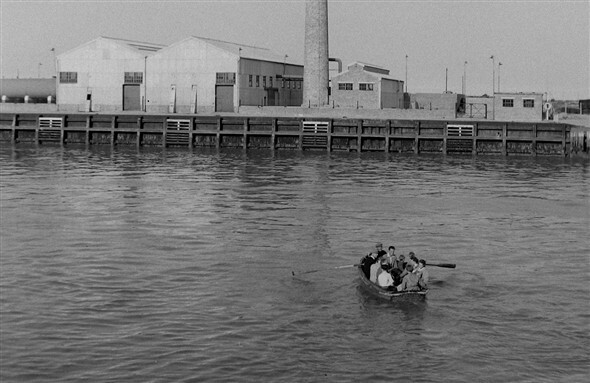 So hundreds of workers used to use the ferry every day to cross the River for work at one of the many factories. 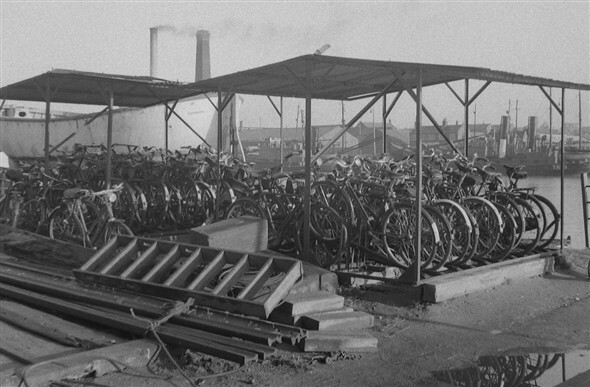 Many people cycled to the ferry so there were always a large amount of bicycles in the purpose built sheds or lined up along side the river. This page was added by Sarah Woods on 06/03/2008. I saw an article yesterday (20th January) in the EDP about bringing back one of the old Yarmouth Lifeboats. 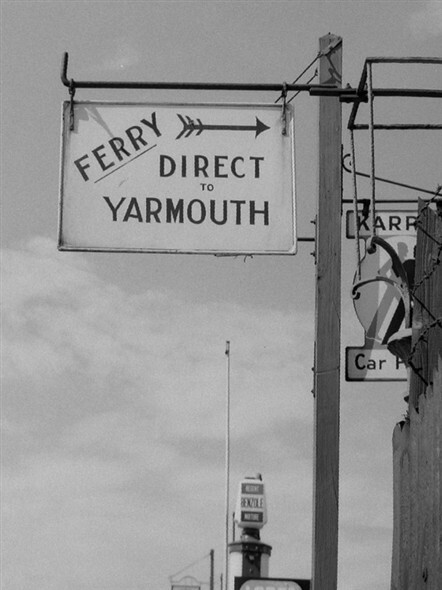 I also read Sarah Woods’ article and liked the pictures of the ferry across the Yare from Gorleston to South Quay. 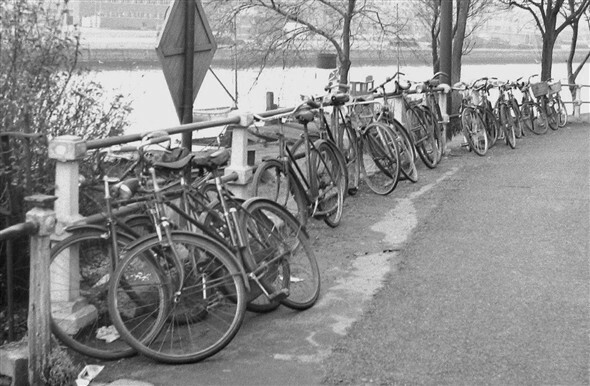 I used to use it to get to work at Bird's Eye and Docwras rock factory nearly every day. This must have been around the late 70s. I asked the man who used to steer it what would happen if we sank, (we didn't wear lifejackets then) as sometimes the river got quite choppy and all the ladies from Bird's Eye would scream when we hit a big wave. He told me it used to be a lifeboat, so it was very unlikely to sink, and the seats we were sitting on were life rafts. He even let me steer it across the river with the rudder once! I saw your pictures on your site and wondered if it could be the same lifeboat or the one they are trying to bring back to Yarmouth? Does anyone else remember going across the river on the ferry to work? Appeal launched to bring old Gorleston lifeboat home www.edp24.co.uk Campaigners hope to bring a historic lifeboat back to her home port in time to display her at the Great Yarmouth. Yes I also remember the ferry. I stayed with my grandmother a lot when I was younger and also I had an Auntie who lived in Southtown, Albany Rd. I used the ferry to visit her sometimes - lovely memories !!! My age like you will be 83 in March!! !